As far as I can understand the abstract, the iodine results are inferred using a (novel?) technique they explain in the paper. That means they will probably compare it to an actual calibrated source in the lab and say "this is great we have 5% error on a 95th percentile" (for a known source, in a lab setting). I don't say this is not interesting, but what I mean is that the iodine maps won't probably be very accurate. And about NatSecTech llc, well, revolving door ? Inferred as well as actual measurements, I think. Revolving door indeed. Just like NSA-Booz Allen Hamilton. 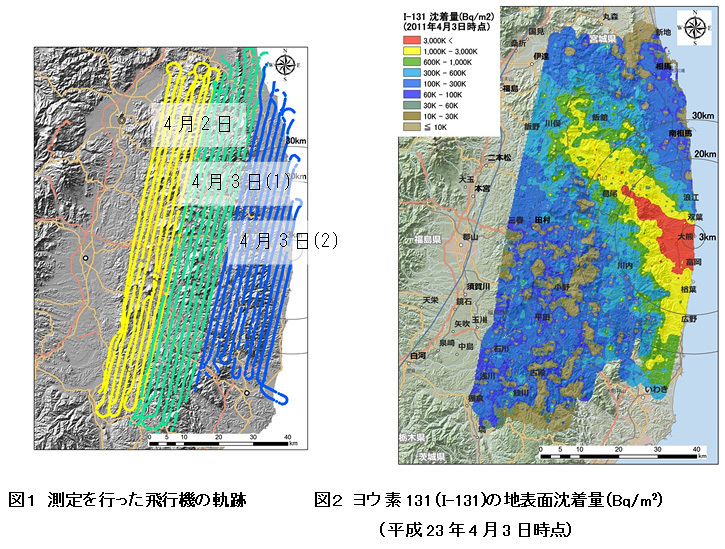 The map doesn't show iodine levels in other prefectures, only Fukushima? US Dept of Energy flew over part of Fukushima (ocean-third). 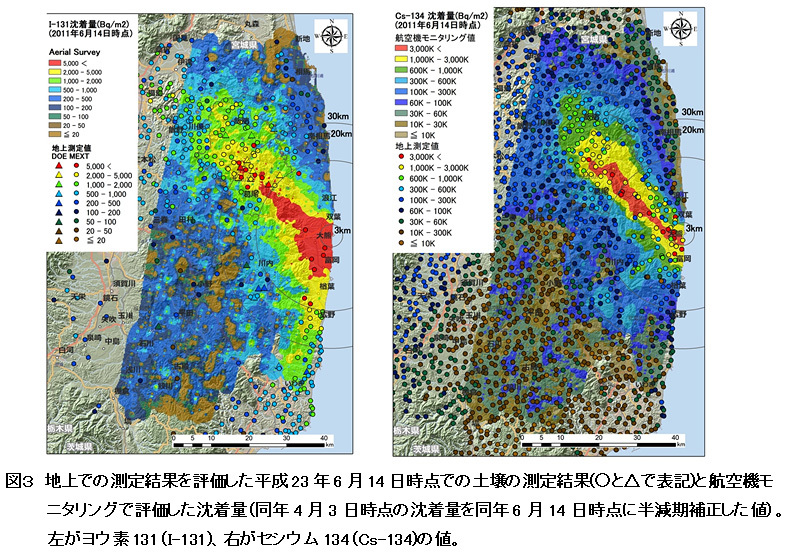 The data does not cover even Fukushima Prefecture in its entirety.